to relax on Summer days are some of the elements that make this Villa for Weddings in Tuscany so special. READ MORE about this Garden for Ceremony in Siena Villa - 203! This Romantic agriturismo for weddings is the right place if you wish to imagine yourself in a place of natural beauty, surrounded by the beautiful Siena countryside. We can organize the reception in the garden with coloured flowers, the wedding dinner along the swimming-pool and the dancing party in the amazing orangerie. READ MORE about this Romantic agriturismo for weddings - 503! The oldest part of this Wedding Villa in Florence dates back to the 14th century: you will fall in love with the peacefulness of its Medieval cloister and the still consecrated Rococo Chapel. CONTACT US for more information about Courtyard for ceremony in Florence - 227! 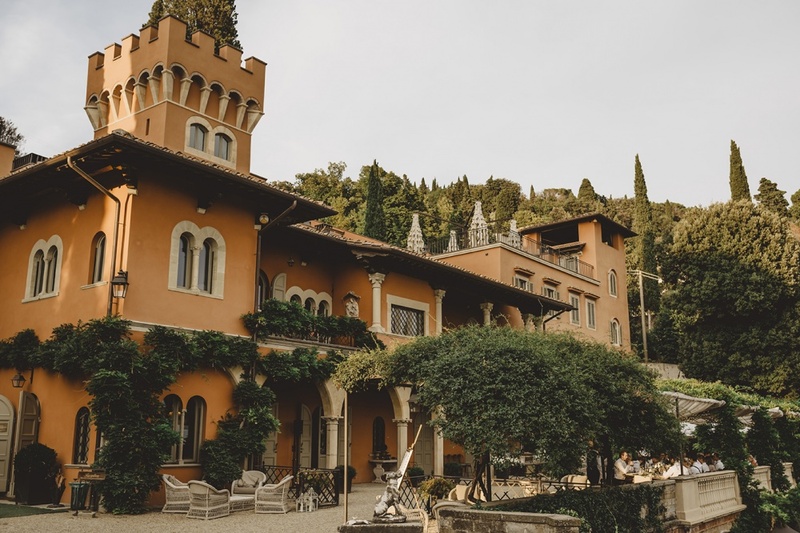 If you are dreaming a fairy-tale wedding we suggest this Luxury Castle in a wonderful dominant position. The cocktail reception can be taken in the garden of the Castle, overlooking the enchanting view. The wedding dinner can be set in the rooms inside, or in the ancient square of the hamlet with 200 torches....pure magic! READ MORE about Luxury Castle in Florence - 131! An charming and romantic Villa for dinner open-air to make your wedding or your event in Tuscany something unique, to relax and enjoy the beauty of nature and a breathtaking view on the Tuscan hills. READ MORE for more information about Romantic Villa for dinner open-air - 139!